Valak is coming for us all. That’s the name given to the ghoulish, titular demon of The Nun, Corin Hardy’s Conjuring spinoff in which the forces of the Vatican come together to investigate a strange and potentially supernatural oddity. So while viewers will be overly familiar with Valak (remember, she first creeped out of the shadows during The Conjuring 2), The Nun rolls back the years – all the way to 1952, when a Romanian monastery was graced (i.e. terrified) by Valak’s presence. And so begins an old-school horror yarn about a dark, demonic force infecting what ought to be a sanctuary for religion, peace and tranquility. 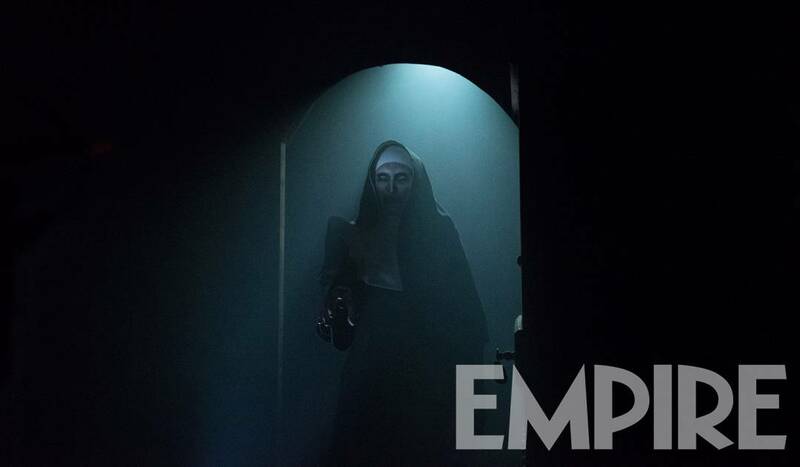 Case in point: Empire has, ahem, conjured up two suitably spooky images to prove that, yes, when it comes to The Nun, Valak is always watching. Not only that, but director Corin Hardy also offered some insight into his creative process and why the September thriller contains “very little CGI” when compared to its next of kin. It’s a bigger movie in many ways than something like The Hallow, but it’s also a grounded movie in that we’re doing it all for real. There’s very little CGI: actually less CGI than even The Hallow. We’re concentrating more on complex choreography and mind-trickery. 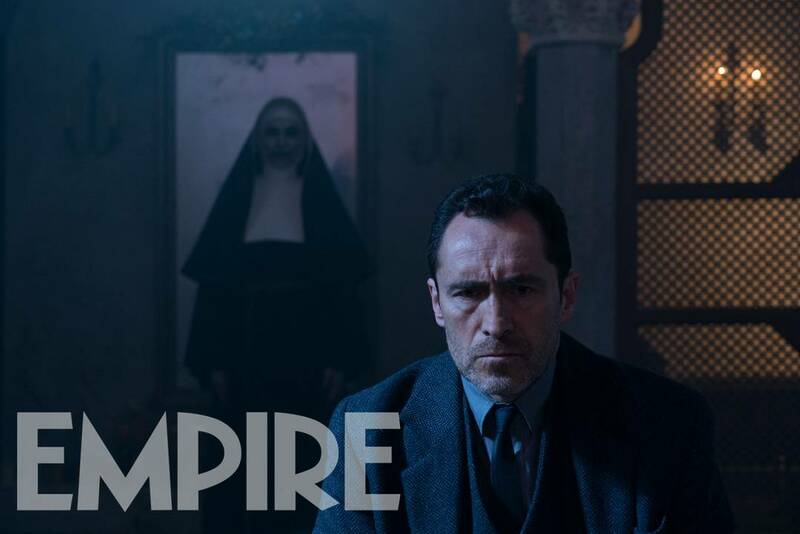 As you’ll see from the gallery above, one image shows Father Burke (Demián Bichir of Alien: Covenant) doing a little research, completely oblivious to the fact that Valak is actually looming over his shoulder. Chills. The Nun will be unleashed upon the moviegoing masses on September 7th – one week before the advent of Shane Black’s The Predator, which is said to be a back-to-basics reboot in and of itself.